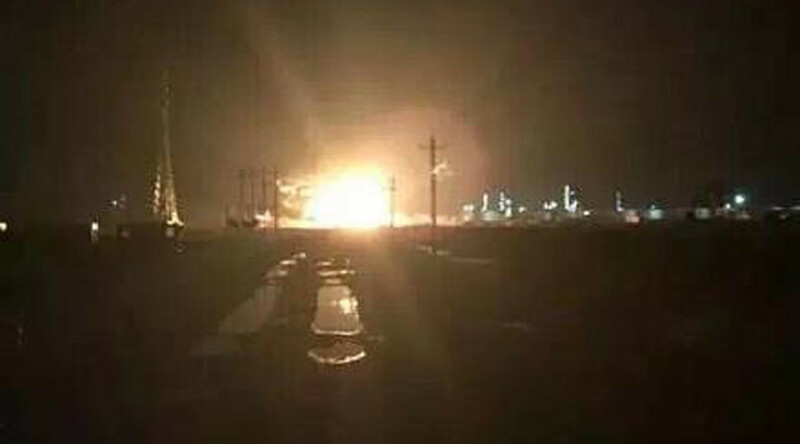 Another huge blast at a chemical facility has reportedly occurred in the Chinese province of Shandong. The explosion, located in an industrial zone in Lijin, Dongying City, happened late on Monday, China’s People’s Daily reported. Seriously, what the f##k is going on over there? 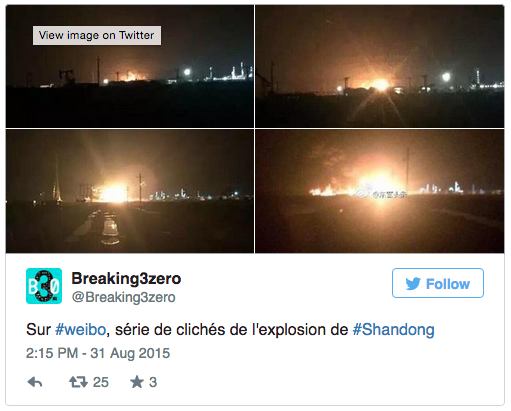 This is the second explosion in Shandong, which both follow the huge and deadly explosion in Tianjin. We’ll await the details which we imagine will suggest that, as was the case in Tianjin, many more tonnes of something terribly toxic were stored than is allowed under China’s regulatory regime which apparently only applies to those who are not somehow connected to the Politburo. 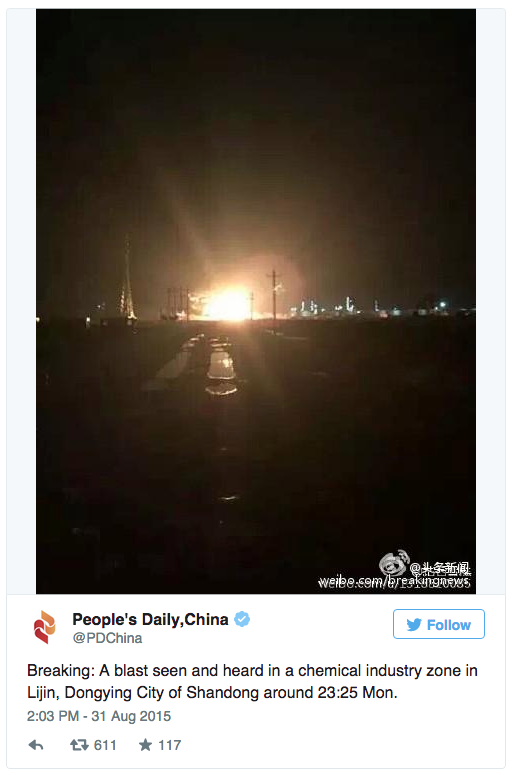 This clip has just been posted to a Weibo account – reportedly showing tonight’s explosion (we are unable to confirm it this is the most recent or the previous Shandong explosion although that was more twlight than dead of night).